KB4493132 has been issued for windows 7 to display notifications that reminds users that end of life/support for the OS is on January 14th, 2020. The notification will include a link that goes to an MS site that suggests them to upgrade to windows 10. The update isn't available through the Microsoft catalog, it will only show up through windows update and it seems like it will not be preselected. Once installed the notification will run once a day unless you click on "Do not remind me again". The free upgrade to windows 10 still works, all you have to do is go here and download the media creation tool and follow the prompts to "upgrade this pc"
Oh wow, didn't know the free upgrade was still active! 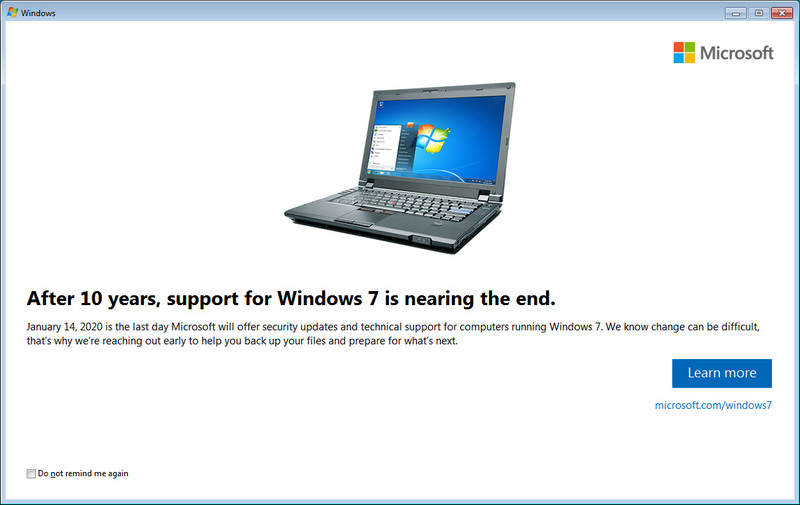 That is a nice gesture from Microsoft.